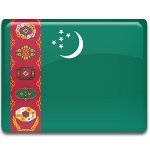 Turkmenistan's Health Day is marked with events and activities that focus on promoting healthy lifestyle and sports. On the occasion of the holiday, many citizens ascend the so-called Path of Health, also known as the Walk of Health. It is a footpath located in the Kopet Dag mountains. It was founded by Saparmurat Niyazov to raise awareness of the importance of regular exercise and promote healthy lifestyle. Unfortunately, health care in Turkmenistan leaves much to be desired. The health system was left in poor condition after the dissolution of the Soviet Union, and it has continued to gravely deteriorate. In 2004, free public health care was abolished and about 15,000 health professionals were dismissed. A year later, all hospitals outside the capital city of Ashgabat and major regional cities were closed. Nevetheless, on National Health Day government officials deliver eulogistic speeches about the achievements of the country's health care system. Along with its National Health Day, Turkmenistan also celebrates World Health Day on April 7.